Anytime Physio is a family-owned Brisbane Physiotherapy clinic offering the best client experience with three clinics located in Gasworks Plaza in Newstead, on the prestigious James Street in New Farm and in College Junction in Clayfield. Our physiotherapy clinics service the inner Brisbane suburbs, including Brisbane CBD, Fortitude Valley, Bowen Hills and Spring Hill. Appointments are available from 8am to 9pm Mondays to Friday and 8am to 12pm on Saturday. Plus, with one-step online bookings available 24/7, it has never been easier to make time to look after health. During your sessions, you get the full, undivided attention of our experienced and caring physiotherapists. We pride ourselves in working collaboratively with each of our clients, providing effective and personalised treatment for all injuries and pain conditions. If you are suffering with pain, it’s time to take control and speak to one of our expert physiotherapists today. Anytime Physio Brisbane offers extended hours sports physiotherapy for busy people. Our New Farm, Newstead and Clayfield clinics have physio appointments available from 8am to 9pm Mondays to Friday and 8am to 12pm on Saturday. We care about you! Our sports physios understand how important it is to fully understand your condition and how it affects you. We believe in offering high quality, affordable physiotherapy for people of all ages and fitness levels. Because of this, all of our clients get private 30-minute sessions with our physios with no time wasted during treatment sessions. Book an appointment online. Appointments are usually available on the same day or the next day. If you have suffered a recent injury or are experiencing pain, then a visit to the physiotherapist is definitely worthwhile. Physiotherapists are trained health professionals who work with people with pain and disability to help them recover and return to the things they love. While many people think that physiotherapy is only for athletes and sports injuries, physios treat all sorts of painful conditions. Whether you have sprained your ankle, pinched a nerve or hurt your back, a physiotherapist can help you identify and fix the source of pain. What Services Does Anytime Physio Brisbane Offer? Clinical Pilates is available at Anytime Physio Clayfield. It combines knowledge of a physiotherapist with the benefits of Reformer Pilates. As such, it is great for treating lower back pain. Join in the fun with our awesome group exercise classes at Anytime Physio Clayfield. Our Pilates classes are run by physiotherapists who are specially trained in clinical Pilates. Anytime Physio offers both dry needling and acupuncture. Dry needling is available as part of our physiotherapy treatment and acupuncture is available at Clayfield with our experienced acupuncturist. The TheraGun G2Pro is the world leader in percussive therapy. TheraGun has been touted as the NBA’s secret sideline weapon used to keep athletes limber and in peak form. Our physiotherapists use the TheraGun as a safe method to treat muscle tightness and pain. Remedial massage is a treatment used to relieve muscular pain. Remedial massage is available at Anytime Physio Gasworks in Newstead, just minutes away from Bowen Hills, Teneriffe and Fortitude Valley. Can’t get to us? Let us come to you! Just contact us to arrange a suitable time for us to come to your home. Also, Anytime Physio is a partner with Medibank at Home to provide rehabilitation at home for people who have had total hip and knee replacement surgery. Contact us to book an appointment today at one of our Brisbane Physiotherapy clinics or book online. 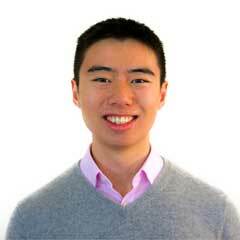 Alan Wan is a principal physiotherapist at Anytime Physio. His clinical interests include the management of complex pain conditions, neck pain, headache and migraine treatment and rock climbing injury diagnosis and rehabilitation. He completed his Bachelor of Physiotherapy with First Class Honours at the University of Queensland and is currently enrolled in the Doctor of Philosophy program at the University of Queensland. Joy Kim is a principal physiotherapist and clinical Pilates instructor at Anytime Physio. She combines her knowledge of biomechanics and pain science with her background in Pilates to provide expert treatment for low back pain, hip pain and knee pain. Joy is also passionate about climbing and provides rock climbing injury treatment at our Gasworks clinic in Newstead. She completed her Bachelor of Physiotherapy with First Class Honours. Susan is a physiotherapist at Anytime Physio New Farm. She completed her physiotherapy training in Ireland where she graduated with a Bachelor of Science in Physiotherapy from the Royal College of Surgeons in Ireland. Louis is a physiotherapist at our New Farm clinic. He graduated with his physiotherapy degree in 2012 and since then has worked in numerous settings. He is qualified as a Level One Functional Patterns Instructor, and also holds his dry needling certificate. Outside work, Louis loves playing and watching cricket and tennis, as well as supporting his favourite EPL team, Chelsea. Charlie is a passionate physiotherapist who has been immersed in a multitude of environments in several of the largest hospitals in the Brisbane’s Metropolitan and rural areas. Through experience, Charlie has developed a love for treating sports injuries and musculoskeletal pain. Most notably, he is passionate about helping patients with migraines, lower back pain, shoulder pain and knee pain. 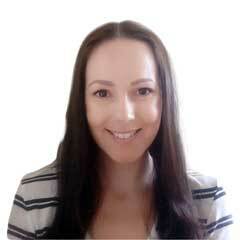 Rebecca Officer is a senior physiotherapist at Anytime Physio Gasworks. 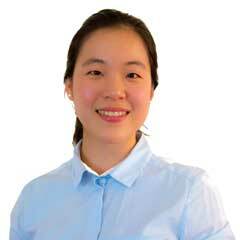 Prior to joining Anytime Physio, she has held senior physiotherapist positions in nation-wide physiotherapy practices. She is a skilled hands-on clinician with additional qualifications in Pilates and dry needling. As a result, Rebecca brings a wealth of experience to Anytime Physio. Jacky graduated with Bachelor of Physiotherapy (Honours) from the University of Queensland. Jacky has gained experiences with a wide spectrum of conditions in hospitals and private practices. He has developed special interests in the management of sports injuries, spinal injuries, shoulder pain, headaches and dizziness. 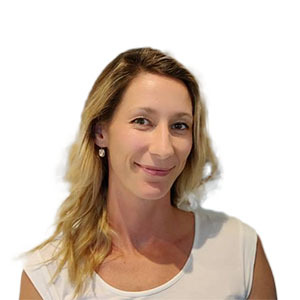 Jacky is passionate about delivering holistic care through a variety of manual therapy techniques and individualised exercises to achieve your goals. He is a Level 1 Sports Trainer and has taken external courses on hydrotherapy for chronic diseases. 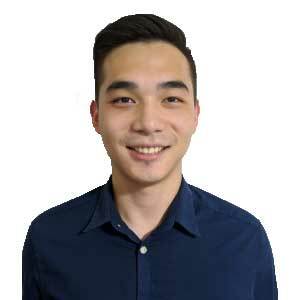 Steven Eo is a Remedial Massage Therapist at Anytime Physio. 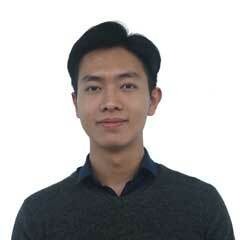 He joins our team after years of experience as a massage therapist in Malaysia and Australia. He completed his Diploma of Remedial Massage at the Australian College of Sports & Fitness in Perth and is currently studying an Advanced Diploma of Myotherapy. 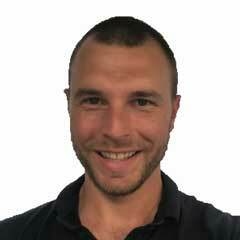 Steven practices deep tissue massage, sports massage, reflexology, lymphatic drainage massage and pregnancy massage.